We’ve been waiting for the first Intel-based smartphone to hit shelves in the coming couple of days, but we weren’t sure what would it be, and now it’s all confirmed and clear. The Lava Xolo X900 will be the first phone featuring Intel’s Medfield platform and the Atom Z2460 processor. The Xolo X900 is slated to arrive in India on April 23rd, and is set to finally answer all questions about Intel’s attempts to make its way to smartphones. The first question it answers right away is with price - the handset looks aggressively priced at $424 (22,000 Indian rupees). We hope such a low price can translate to other Intel-based smartphones. What everyone will be looking at, of course, is the 1.6GHz single-core Atom processor that brings Intel’ hyper threading technology, and should be competitive with the industry’s ARM dual-core designs, and possibly even the newest quad-cores. There’s a dedicated 400MHz graphics core included on the Xolo X900, another thing we’re curious to see perform. But while we’ve already seen some preliminary and very impressive benchmarks of the chip’s performance (we hope there are no surprises there), we’re yet to see how power efficient Intel chips have gotten and are they competitive with ARM architectures in terms of battery drain. 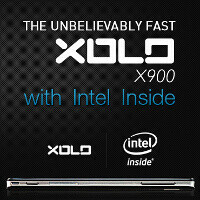 Apart from the silicon, the Xolo X900 a device that looks like Intel’s reference platform. It’s based on it and you can say by the specs - it features a 4-inch screen with a weird resolution of 600x1024 pixels, and is also relatively lightweight. 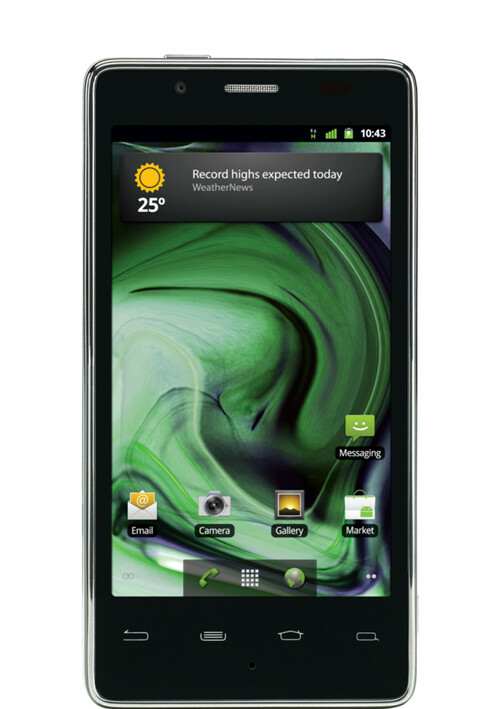 The handset runs on Android 2.3 Gingerbread, but that should change soon via an OTA update to Ice Cream Sandwich. It packs an 8-megapixel camera that promises impressive speeds - up to 10 images in burst mode and under a second. 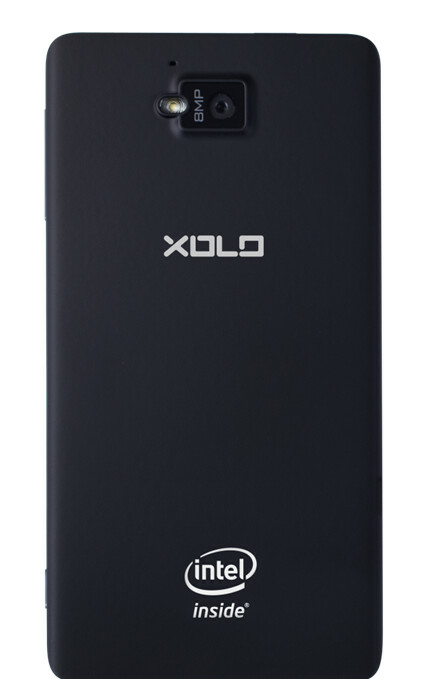 The Xolo X900 sports 16 gigs of internal memory, NFC support and 1GB of RAM. The battery life is said to be 5 hours of 3G browsing, 45 hours of audio and 8 hours of talk time. Check out the images and stay tuned - all benchmarks and tests should start surfacing very soon. I wish I knew the ppi on the screen. That resolution is cool. These Intel chips are too powerful compare to ARM stuff. However, like you said power consumption is the big question. x86 quadcore exynos! lol. i must be dreaming. well what i can understand from this is, windows 8 will run cool on x86 based tablets and whats exciting is it will the run the thousands of apps already available for windows rather than starting from scratch with arm. I'm not surprise about your results. I read an article of one guy who went the other way around that makes more sense: installed UBUNTU in both the Prime and some old laptops and run some benchmark tests for laptops. The results were that Tegra 3 is just about a bit better than the old netbooks, so not even near an old laptop like yours. But if you only did Antutu it's biased over the Intel chipsets, why don't you try some battery tests? There the ARM chipsets like Tegra 3 should shine. I would be curious to know the results! Never thought you were bragging! I´m just seriously curious about how an Intel chipset would fare in an Android battery test. It was just a suggestion not a "dare" or a criticism ;-) And if you finally do, please post a new reply here with the link where you create the post so I can check the results. Everybody would have told the same thing for many companies. So it is a very good innovation by Lava Mobiles. And i do agree that they import Chinese Mobiles but now things have changed, this product has been only manufactured in India. I see many people who are fans of Intel and think their processors are the best. So I guess there is some market for it, specially if you are the first there like Lava. As for me I prefer to wait for the real results of the chip. Think that the GPU is the old single core PowerVR SGX540 at 400 MHz wich is pretty much the same as the one used in the "Samsung Galaxy Nexus" (OK, there it was at 384 MHz), which is a bit weak for the current standards in high end phones.